BRANDON, Man. – Brandon University (BU) is celebrating Black History Month with a display in the John E. Robbins Library. 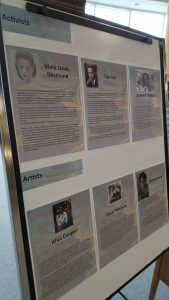 A display at the John E. Robbins Library at Brandon University recognizes important accomplishments in Canadian history by the Black community. 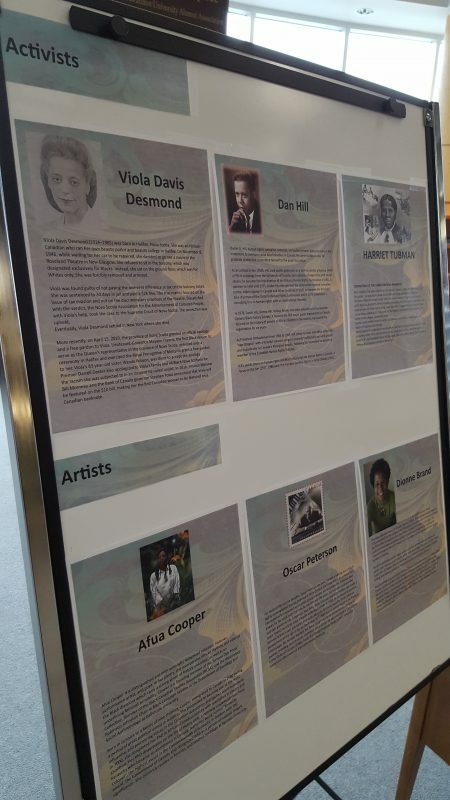 The display, in the library’s Gathering Space, features biographies of 12 prominent Black women and men who have made great contributions from Canada’s history to present day. Also honoured in the display is Dr. Afua Cooper, a historian, poet and educator who is the Chair of the Black Canadian Studies Association (BCSA). The BCSA will hold its 2017 conference at BU from May 11 – 13. Others being recognized are human rights advocate Dan Hill, poet Dionne Brand, clergy member Addie Aylestock, physician Anderson Abbott, former Winnipeg police chief Devon Clunis, and lawyer and educator Dr. Juanita Westmoreland-Traoré. The display can be viewed during the library’s regular hours, from 8 a.m. to 11 p.m. on Mondays through Thursdays, from 8 a.m. until 5 p.m. on Fridays and on weekends from 1 p.m. to 5 p.m.
More information on Black History Month in Canada is available by visiting Canada.ca/Black-History-Month.